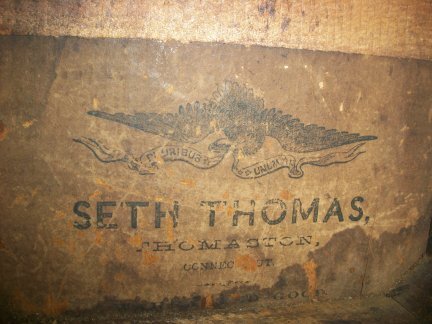 8 DAY MANTLES-1818-UNUSUAL MINIATURE 8 DAY SETH THOMAS TIME ONLY MANTLE. 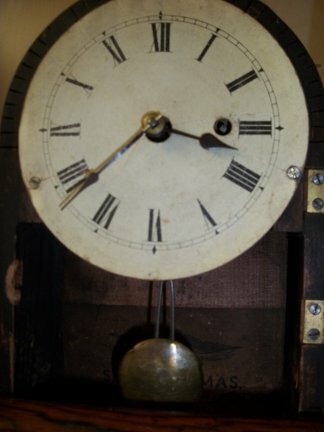 This is an unusual clock from the standpoint that most of the clocks of this size were 30 hour clocks, this is an 8Day pendulum clock. Close up with the door open. 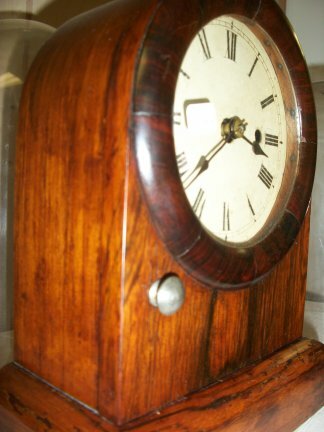 Left side of the clock. 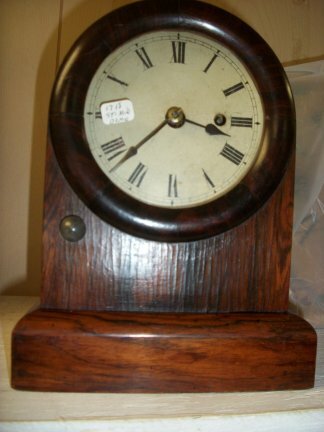 Dimensions of this clock are: 9.5" tall and 7"wide. 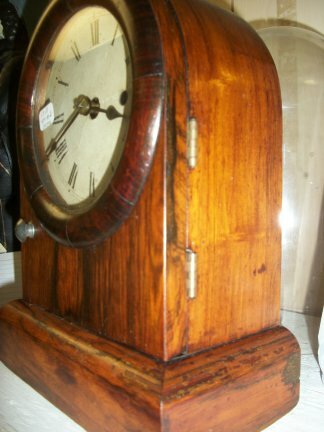 Right side of the clock. Most likely a rosewood veneer. Picture of the inside paper.